Take a cognitive approach to treating children with DCD! Developmental coordination disorder (DCD) is frustrating for the children who must deal with it every day, for their parents, and for the professionals who work with these children. Children with Developmental Coordination Disorder offers new hope to children who are exeriencing this distinctive movement skill syndrome. It suggests ways they can overcome the challenges they encounter wherever motor skills are needed: in the classroom, on the playground, and at home doing self-care. This groundbreaking volume challenges pediatric therapists to examine the assessment and intervention approaches that are currently being used with children who have DCD. Children with Developmental Coordination Disorder offers new model that draws on research in the fields of motor learning, educational psychology, cognitive strategies, and occupational therapy. In addition to theoretical background, this book provides a detailed protocol for CO-OP (Cognitive Orientation to Daily Occupational Performance), an intervention that has been shown to facilitate problem-solving and enhance motor skill acquisition for children with DCD. Based on six years of systematic, cooperative research, Children with Developmental Coordination Disorder demonstrates the success of a unique cognitive approach to intervention with these frustrated children. 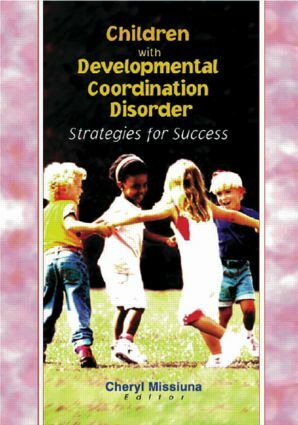 Developmental Coordination Disorder: What Is It? Treatment of Children with Developmental Coordination Disorder: What Is the Evidence?